There are two methods of using etchant resist when making circuit boards. We use the toner transfer method that requires ironing on laser toner to the copper, but you can also use chemical resist that reacts to ultraviolet light. [Bogdan] decided to start doing more of the latter so he built a UV exposure box to make the process easier. It is possible to use flourescent light bulbs for this, but he decided to use UV LEDs, a method we’ve also seen before. 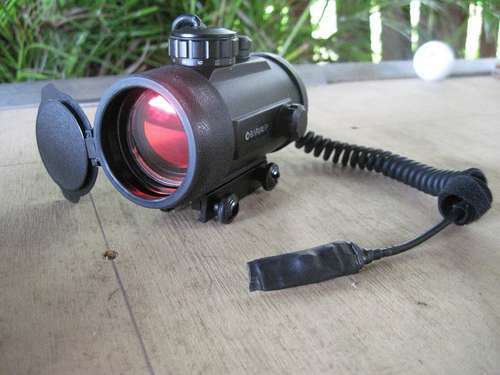 But there’s always room to innovate, and [Bogdan] built-in a couple of nice features that are new to us. 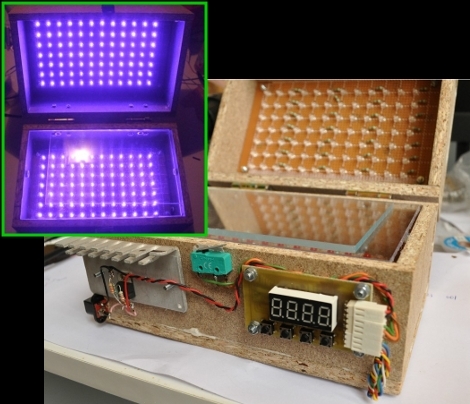 Because the UV light can be bad for your eyes, he included a set of red visible-light LEDs on the bottom half of the box that are used to align two layers of exposure mask when making double-sided boards. There’s also a switch that automatically shuts off the UV light when the box is opened. And as the coup-de-grace, he added a programmable timer to regulate the exposure, using his newly created box when etching the PCB for it. Your hamster lives to good life, with food delivery and a maid service that cleans up after him. 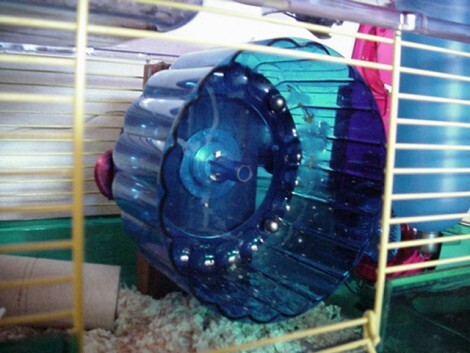 [DanF] helped to brighten up this hamster’s life even more by improving its exercise equipment and giving it a small night-light as well. This project adds a low RPM alternator to the hamster wheel. The first part of the process was to reduce energy lost to friction by fitting the wheel with a bearing. From there a ring of permanent magnets was added which will pass by a stationary coil and induce a current. It works, but unfortunately there’s not enough power generated to charge a battery. That means the light is only on when the hamster is running. But maybe you can figure out a way to use a super-capacitor like we saw in that exercise bike hack. One nice finishing touch to the setup is a bicycle computer to track how much time was sent on the wheel, and the distance traveled. 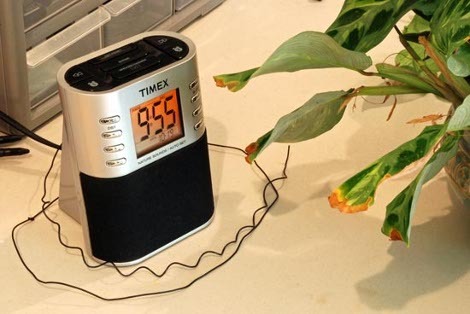 The back story behind [Mike] experimenting with plants as AM radio transmission antennas antennae is rather interesting and worth the short read. 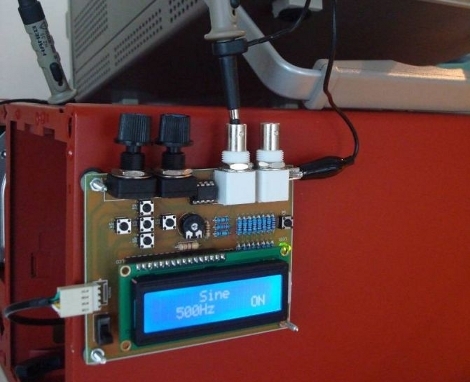 But for those who just want the facts, [Mike] took an ATMega324, modified the PWM output into a sinusoidal AM signal (using a simple form of RLC circuitry), and connected the circuit to a plant no plants were harmed in the making of this project. The results? Well we’re not ones who would spoil the surprise, you’ll have to see for yourself in the video after the jump.